It’s easy to to take your brand into another country and quickly get traction. Just translate your website and offer your prices in the relevant currency. While one may argue that it’s easy to make your brand available in another part of the world, it’s incredibly difficult to make your brand thrive. It’s your customer and the culture they live in that will ultimately determine your overall success. 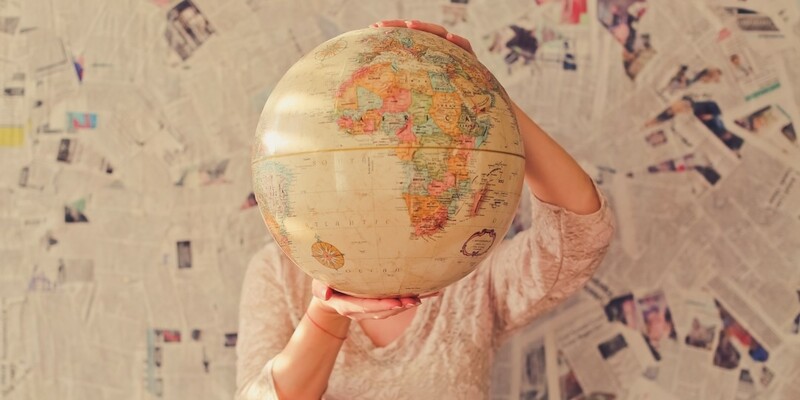 In this article you’ll see a handful of buying habits about some large ecommerce markets to help your brand operate smoothly in the world of borderless ecommerce. Before we get stuck into these things, it’s worth noting that the things you’re about to learn are observations and generalisations. For example, just because Brazilians are used to pay using cash for their purchases, doesn’t mean that you shouldn’t offer other types of payment method in Brazil. Similarly, just because Australians are patient with postage, doesn’t mean you can be lazy with your deliveries. Now with that out of the way, let’s take a look at the way different cultures look at the role returns and refunds play in different parts of the world. Not only is a refund and return policy required by most laws, it’s a good thing to have if you want to build a reliable, long-term brand. But increased security for the customer often means exposed risk for the retailer. “Zalando parties” are a fine example of the customer taking advantage of retailers. Zalando is the biggest clothing marketplace in Germany. A “Zalando party” consists of teenage girls purchasing clothes, taking pictures with their friends, posting the photos on social media…then returning everything. Luckily, German retailers now have a weapon to fight back. When a customer enters their postage address, the seller can perform a background check on the buyer’s payment and return history. Many Poles buy the same pair of shoes, pants or a dress in multiple sizes, styles or colours, only to return the ones that fit best or that they don’t like. In the Asia Pacific region though, buyers are quite relaxed with returns. More often than not, it’s easy (and quicker) to buy a replacement item rather than sending the faulty one back, waiting for the return to be processed and then receiving the new one. It’s always good to get paid, regardless of how you’re paid. But that’s not the case for your buyer. Online fraud is prevalent in many parts of the world, severely limiting the payment gateways available to buyers in that region. Similarly, certain payment methods don’t mesh well with the attitudes of some countries. Why Do Brazilians Still Pay Using Cash? Brazilians, for example, are very reluctant to pay via PayPal, Google Wallet or many other kinds of digital wallets. This means they have to go to another website, which means a disjointed user experience, and an implied security risk. Mediterranean countries like Greece and Italy as well as India take a more conservative and traditional approach to ecommerce. Prefering to touch, hold and feel their purchase before they pay for it, Cash On Delivery (COD) is the leading payment method in these countries. A similar situation occurs in Mexico. Many Mexicans don’t store their money in the bank, meaning cash is the most used for of payment. This meant retailers had to get savvy. Buyers use cash vouchers, such as OXXO, to pay for their online purchases offline. In the U.A.E and other gulf countries, credit cards are not popular. Debit cards are the go-to option for ‘plastic spending’. However, many payment gateways available to Middle Eastern e-retailers don’t accept debit cards as payment. This is a hurdle that the industry is working close with the government to overcome. With every kind of payment method, there’s always the underlying fear of security. Since it’s conception, there has always been risks and dangers about buying online. In this day and age, almost all online transactions happen without a problem, but buyers are still wary. Due to credit card fraud growing sharply, the South African government made it a requirement of all online store to use 3D Secure technology in 2014. Since then, many merchants report less fraud and an actual reduction in abandoned carts. Historically, Germans are very risk-averse and tend to stick to what they’re familiar with. For a large purchase over a few hundred Euro, Germans prefer to be invoiced. This way, they receive their purchased product and are asked to settle their account in 14 days. Another threat to online security is identity fraud. In 2015, over 275,000 Australians were victims of identity fraud. As a result, Australians are now skeptical of stores that don’t offer high-level security throughout the checkout process. One of the joys of buying online is the fact that your purchase is delivered right to you. But attitudes toward wait times vary drastically, depending on who you’re selling to. Dropshipping has somewhat changed the ecommerce landscape in recent years thanks to products like Oberlo making it easy to sell online. But one inherent problem of dropshipping and using Asian-based manufacturers like Alibaba, is the increased shipping time. Many dropshipping brands fail as they cannot generate long-term growth, partly because of long postage times. It’s not uncommon for an epacket to take several months to go from the interior of China to a rural area of the UK. In the UK, Luxembourg, Belgium & the Netherlands, buyers are somewhat impatient, expecting their purchase to arrive within 2 days. In fact, many online retailers have seen a massive increase in cart spend after guaranteeing 24 hour delivery times in these areas. Russians, Brazilians and Australians on the other hand, are victims of their locations. Such huge countries mean that it takes time for a package to go from one side of the country to the other – even longer if it’s from abroad. As a result, people of these countries and patient and happy to wait. Brands that can offer speedy delivery in large countries find themselves become increasingly popular in these regions. The Spanish Ecommerce industry is unique when it comes to delivery. It’s estimated that 1 in 3 purchases never actually arrive at their destination. Incorrect address, or being lost or damaged in transit are the main reasons for this, so offering a postage insurance option can help you get leverage in the Spanish market. Having loads of sales is great, but having those customers by more from you in one purchase is event better. But many cultures have somewhat of a moral limit as to how much they’re willing to spend online. For example, Italians prefer to buy in bricks and mortar stores. This means that the average cart spend and the conversion rates of Italian online stores is significantly lower than average ecommerce conversion rates. A little further north, tech-savvy Norwegians spend more in ecommerce than anyone else in Europe. It’s a similar story in the U.A.E, with nearly 92% of the population having internet access. Despite the Middle Eastern stereotype, value for money plays a large role in attracting Arab buyers. Israeli customers are rarely offered free shipping, despite the young, connected population. Any brand expanding into this region may be able to gain initial traction by offering free shipping, or absorbing the cost into the final sale price. Not only is important to speak your customer’s language, its important to use the vocabulary they’re used to seeing. American advertising is bright, eye catching and loud – both online and offline. This form of advertising works well also in Eastern Europe, South East Asia and the Asia Pacific Region. But this same concept scares and confuses buyers in Northern Europe. Being bright and loud in a culture that is used to minimalistic, smooth and subtle advertising is not a step in the right direction. In this same part of the world, many languages overlap. It’s not uncommon to see the Swiss having a conversation and alternating between German, French and Italian. But when it comes to buying online, don’t expect to reach the Swiss market by using Italian. On the other hand, many European countries excel with English. If the desired product isn’t available in their native language, they have no hesitation going to Amazon or eBay or another UK based marketplace to find what they’re after. But don’t expect to access The Middle East or central Asian markets this same way, though. Advertising customs vary drastically all over the world. The best way to reach your customer is in the way that they’re used to being advertised too. Believe it or not, social media isn’t always the way to go. Internet penetration is high in the Baltic states, but only 60% of Estonians have access to social media, compared to the Dutch, at over 90%. Jumping to the other side of the planet, half of Indonesia’s 260 million people are connected to the internet. What’s more, the capital, Jakarta, has the 4th highest number of Twitter and Facebook users in the world. It’s safe to say that PPC are a great way to gain exposure in Indonesia, not so much in the Baltic states. Mexicans and the Emirati are thrifty shoppers. Buyers regularly go online and do extensive research before committing to a purchase. Regular use of price comparison engines is common, so be sure to have your product feed set up and ready to go! As you’ve seen, expanding into new markets can be quite challenging. With each continent, country and region presenting different habits, it’s essential to know your goals. Conduct thorough research of the area you decide to expand into. Speak to buyers, other brands and companies that service that region to gain valuable insights into the habits of your future customers. By learning a little bit about your future market, you pave the way for your brand to sell more products, service more customer and create brand advocates from all over the world. *This article was written by Phil Forbes, a writer for the Polish-based startup Shoplo. He regularly writes about ecommerce and how small businesses in the online world can start to grow and thrive. When he’s not figuring out how to get the most of Amazon, he can be found watching his Australian Football team continue to be average, or spending time with his girlfriend, speaking terrible Polish.